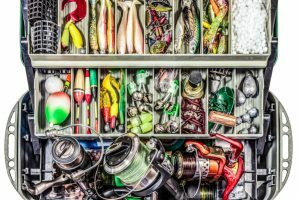 It’s important to know that there are a lot of factors that you need to consider when it comes to fishing. 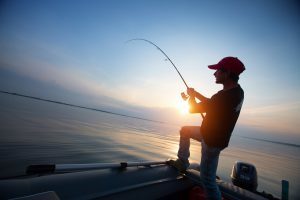 You need to know the right water, the weather, fishing rods, baits, and the fishing reels in order for you to catch the right fish. 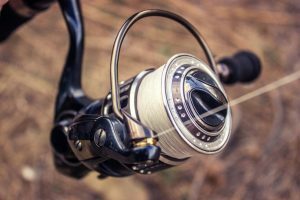 In this article, we will check out the three best fishing reels for beginners. 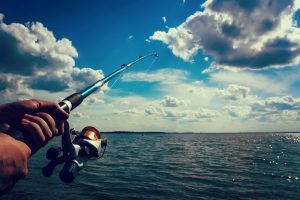 Fishing is still one of the most popular past time hobbies that anyone can have. Not only does it relax your mind and body, but it also allows you to connect with the environment and provide you with a free meal. If you want a fishing reel that is made from high-quality materials, has great features, has little to no disadvantages and won’t break the bank, then the Penn Battle II Spinning Fishing Reel may be just the right item for you. Not only does it have a solid built, but it also has the right ratio for you to cast and retrieve your catch easily. This fishing reel boasts a better quality than its previous models because it has improved quality of paint in which it’s easily protected from saltwater chemicals, which will prolong its life by years. It also has five stainless sealed steel ball bearings that will ease your experience when using it. The Penn Battle II also uses the HT 100 Drag System, which allows you to increase your drag pressure by a mere 20%. This is because it operates with carbon fibers that allow you to use both sides of the drag washer, enabling you to perform faster. 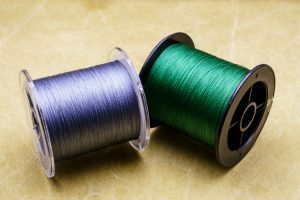 In addition to that, the company also added line capacity rings for an upgraded spool, which allows you to have the ability to know how much line you have left on your spool. With all these great features, not only will it be easier for you to perform efficiently and more effectively, but it will also allow you to put lesser effort and stress on your body when retrieving your line. 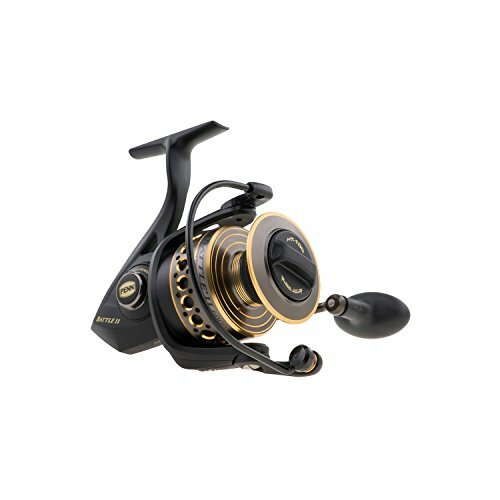 This reel comes with a total weight of 10.3 ounces, a gear ratio of 6.2:1, and maximum drag of 12 pounds. For you to get to know the Penn Battle II Spinning fishing reel better, here is the list of its pros and cons. 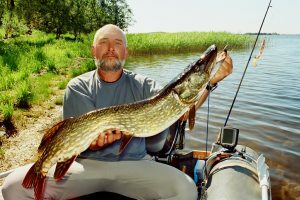 Spincast reels are well-known in the world of fishing. Not only is it more commonly used, but it’s a great reel to start with if you’re a novice and trying to practice your throws and drags. 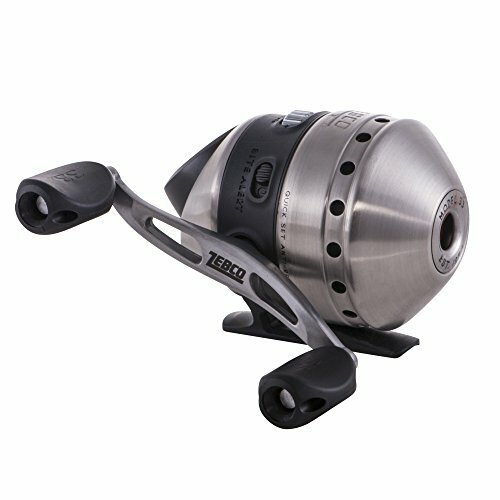 Built with exterior stainless steel and a composite body, the Zebco 33 gives you a stout spin cast reel. 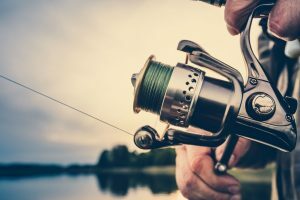 Fishing using a spin cast reel can be quite difficult if you’re not used to the traditional way of throwing your line or if you’re more inclined with doing baitcasting reel. With this kind of reel, you still need to push the button before you throw your cast and release it right before your swing ends. Although this might be difficult for other people, a lot of fishers tend to use this kind of reel. This is because it allows them to control their throws on the water. Zebco has managed to improve the management system of this spin cast reel, making it better at casting and generally more efficient. 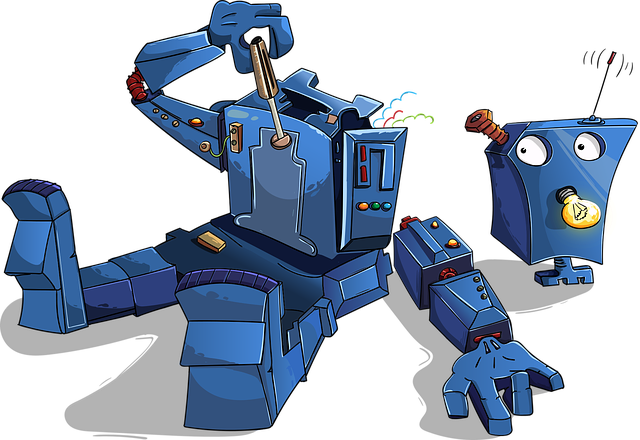 It lets the user have more positive control, and it also has an improved line retrieve system. 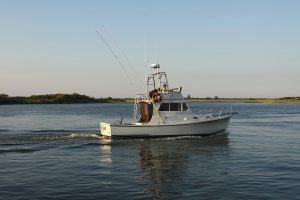 What’s more is that they equipped the reel with a quickset multi-stop, anti-reverse system, a micro-fine adjustment drag control, and a reversible retrieve for both right- and left-handed users. Truly, this fishing reel was designed with the user in mind. The Zebco 33 Authentic spin cast reel is also equipped with a “Bite Alert” audible clicker that lets you know if a fish has found your bait. A good addition is the PVC rubber knobs in which you can easily adjust your drag strength. It has a gear ratio of 3.6:1 and has a total weight of 8.5 ounces. Looking for a fishing reel for beginners that are low on cost but has high quality can be quite difficult, which is why the KastKing Royale Legend/Whitemax fishing reel is considered as one of the best in the market today. You will not only get the chance to perform at your best, but you will also have a reel that can last for years. The Royale Legend/Whitemax fishing reel is made from Proven 11+1 shielded MaxiDur corrosion-resisting ball bearings with a ceramic line that will protect your reel from saltwater chemicals and prevent rusts and corrosion. The stainless-steel handles are covered with EVA padded grip foams to give you comfort and take away the moisture while you’re controlling the reel. To further provide you with the best experience, this baitcasting fishing reel has a gear ratio of 7.0:1 and has a weight of only 7.5 ounces. You can also experience the reel’s state-of-the-art dual-braking system, which allows you to have an easy and quick casting control. 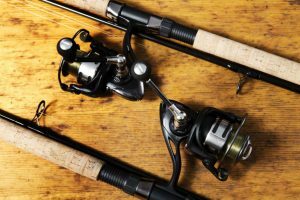 When it comes to looking for the best fishing reels in the market, you have to consider different factors that may affect your performance. 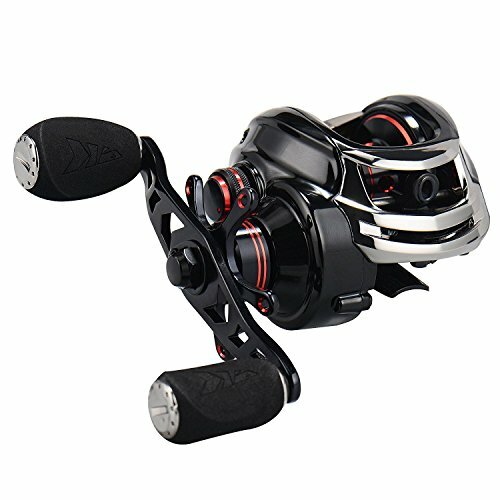 With the three different fishing reels presented above, you can definitely say that they are different from one another. Considering the performance, features, advantages, and disadvantages, it is clear to see that the best among the three fishing reels is the KastKing Royale Legend/Whitemax Fishing Reel. 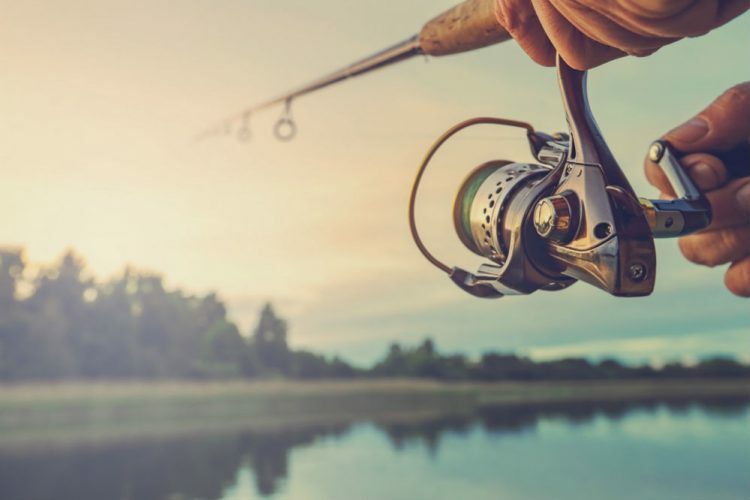 You will definitely find all the things that you’re looking for in a beginners fishing reel in this well-though-out fishing reel from KastKing. It’s easy to use, easy to maintain, has corrosion-resisting ball bearings, amazing drag, and braking system, and will protect your wrist from fatigue. The KastKing is definitely a must-choose for all those fishers who don’t want to break their pockets and still have a good reel. Piscifun Torrent Baitcasting Reel Review Best Fishing Reels: Quality and Functionality in One How to String a Fishing Reel: A Guide for Beginners Best Fishing Kayaks: Which One to Buy?